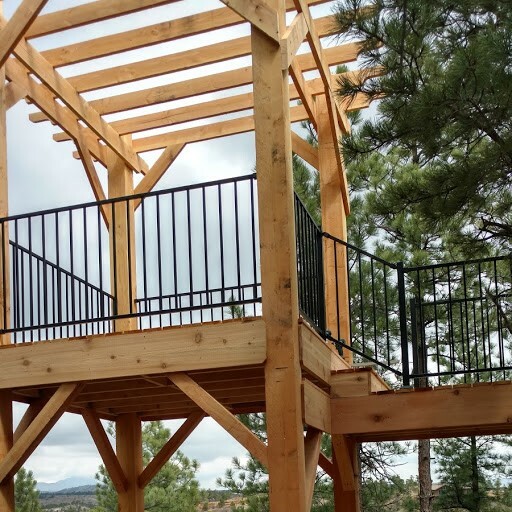 Building or remodeling a deck in Colorado Springs is one of the top home building/renovation projects that a homeowner can do to improve the value, comfort and enjoyment of their home in this great area of Colorado. A great Custom deck can greatly expand your outdoor living space and often become the focal point for entertaining friends or family. When constructed or renovated for your personal needs, Let N Bar B Construction help bring you joy, increased home values and stress free convenience for years to come. Both wood and composite deck materials often retain a high percentage of their value in the resale value of a home. Although choosing the appropriate composite is usually the best choice for your deck as it needs less upkeep leaving you more time to just enjoy your weekends and vacations. Building or renovating a deck is also a good way to improve the value of your home while building an outdoor area you and your family can enjoy. 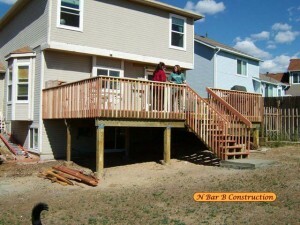 Now is the perfect time to get N Bar B Construction to build or renovate your deck. 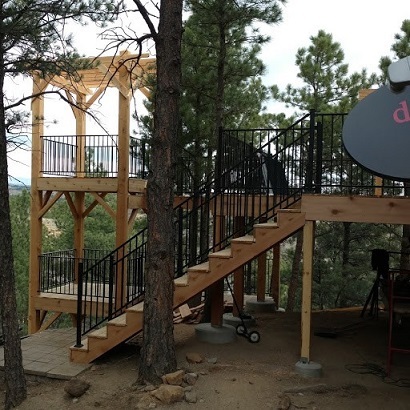 Call N Bar B Construction today at 719-392-4774 and talk to Colorado Springs’ premier deck builder about your deck project. Estimates and expert deck design services are always free and come with a smile from one of the few A+ rated BBB home improvement companies in the El Paso County area. As design and technology have evolved, so has the construction of decks. Be sure to choose the custom deck contractor who keeps up with the newest rules and regulations, technology, products, while customizing and adapting for you and your needs. Today decks can be made from a wide range of materials, from the standard woods to exotic imported hardwood, vinyl, concrete, ceramic tiles, composite materials, and fiberglass. Many architects and designers continue to push the limits as to what is possible when constructing this outdoor living space. 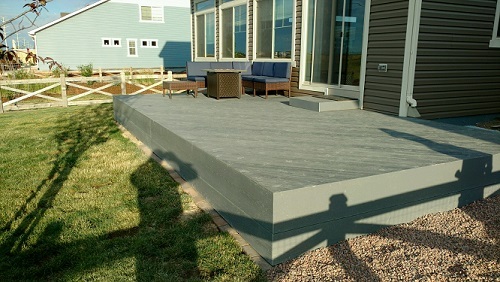 It is easy to become overwhelmed with the number of choices available, so stick with a budget and discuss with an experienced deck contractor in Colorado Springs which building materials may be best in your situation. Remember that you will want to choose a material that will add value to your home, not detract from it. 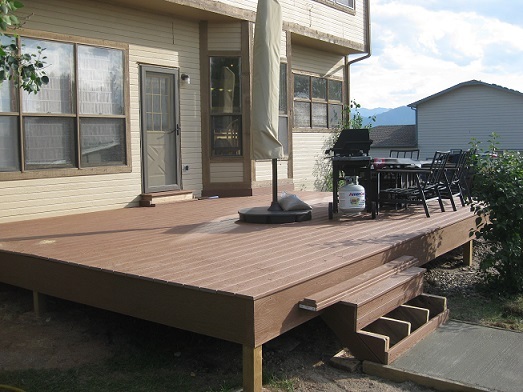 N Bar B Construction can offer you a wide range of decking materials that are appropriate for the Colorado Springs and Front Range areas. 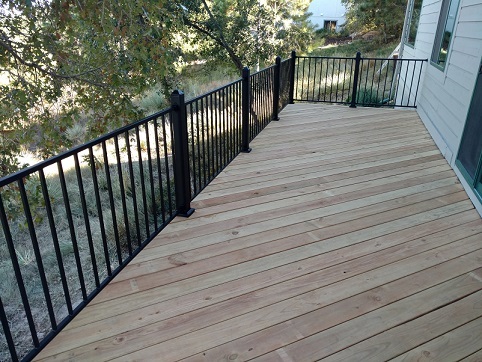 Give us a call today at 719-392-4774 and find out how easy and cost-effective a new or remodeled deck can be. 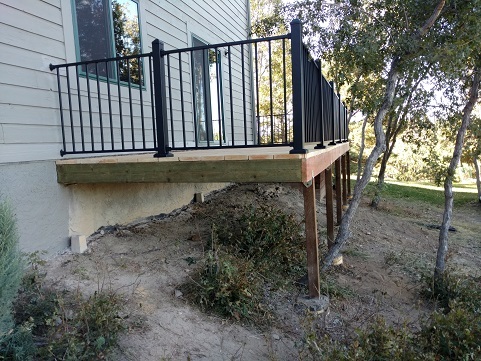 While building or renovating a deck used to be a project that many people tried to do themselves, today that is no longer recommended. There are many fire and safety code regulations, advanced techniques, and construction issues that only an experienced building contractor will know how to handle. Trying to construct or renovate on your own could lead to disaster and not only decrease your home’s resale value but also cause you to lose money in the process. 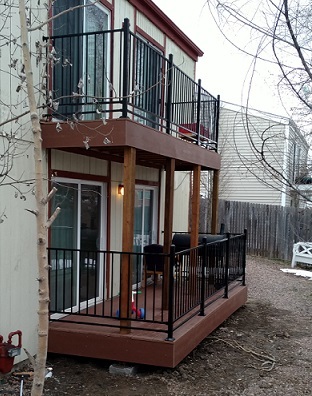 For a deck that will improve the look and function of your home as well as increase your home’s value, it is best to leave the construction or renovation job to the professional deck expert in Colorado Springs. 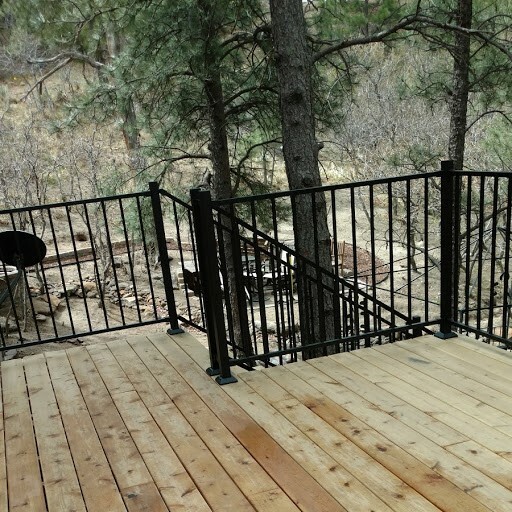 N Bar B Construction is a Colorado Springs deck building expert with over 35 years of experience building quality, custom decks for homeowners just like you. Now is an ideal time to get started on that deck project you’ve been putting off. Give them a call at 719-392-4774 today!